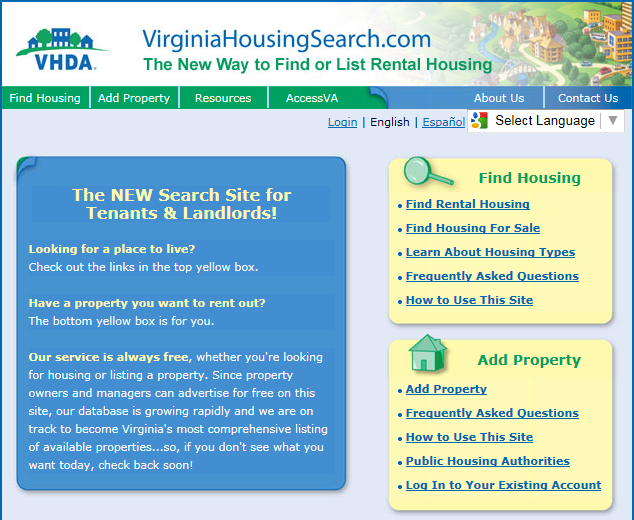 VirginiaHousingSearch.com, an online rental housing locator service launched in 2009 by VHDA, reached a milestone earlier this year when it surpassed 100,000 registered units. Participation by property managers and owners is growing, due in part to more awareness of the website. To keep the momentum going, VHDA is partnering with the cities of Roanoke and Lynchburg and the Fairfax County/Falls Church CSB to promote this free online service through a digital marketing campaign. The goal of the campaign is to encourage landlords and local organizations to post more of their accessible housing units on VirginiaHousingSearch.com. The Blue Ridge Independent Living Center, the City of Roanoke's Planning, Building and Development department, and the Lynchburg area Center for Independent Living are using online ads to promote the website and the many ways it can benefit both landlords and renters.